Should FFS surgery be included in WPATH Standards of Care? An important part of our mission at FACIALTEAM, members of the World Professional Association of Transgender Health ( WPATH ), is not only offering the best patient care and results in Facial Feminization Surgery, but also to participate in modernizing the field in all its aspects. This is accomplished in two main ways. First, our Research & Development Department is dedicated to innovations in imaging, surgery and patient care technologies. However, we are also committed to the psychosocial wellbeing of our patients in the trans community. On this occasion, we hope to make strides in both areas through an international collaboration with other experts in gender surgery. 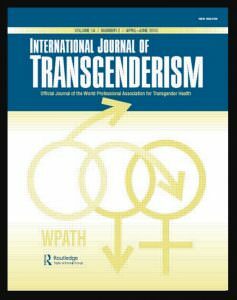 We have co-authored a recent scientific publication entitled “Facial Gender Confirmation Surgery – Review of the Literature and Recommendations for Version 8 of the WPATH Standards of Care”. The article will appear in the International Journal of Transgenderism. The goal of this latest research article was to highlight the effects that Facial Gender Confirmation Surgery (FGCS) and FFS has on a patient’s psychological well-being. This is ground-breaking because the previous lack of research on this subject meant these types of surgeries were considered purely cosmetic. WPATH is now in the process of editing the 8th edition of the Standards of Care (SOC) publication. This series of guidelines largely establish what is considered “medically necessary” by insurance for transgender people who seek a medical transition. A treatment that is considered essential to your daily function is much more likely to be covered by medical insurance policies. Any procedure deemed to be cosmetic, however, is almost never permitted by public or private health coverage. The authors present evidence that FGCS and FFS surgeries should be considered medically necessary in the new SOC 8. Numerous studies were reviewed on this subject in order to consolidate conclusions. In one of these studies, researchers implemented specially formulated questionnaires to measure the physical and psychological health of almost 250 trans women, some of whom had included FGCS or FFS as part of their transition, and some who did not. This study found that trans women who had undergone some type of facial gender confirmation surgery or facial feminization procedure had significantly higher scores in psychological well-being. The physical health scores were the same, on average, for both groups. The authors employ this and other evidence to support recommendations for the upcoming version of WPATH SOC 8. Based on several studies suggesting that psychosocial well-being is much higher in trans women who have undergone facial feminization surgery, the authors argue that these procedures should be considered “medically necessary” in the next SOC edition. It is clear that such treatments are vitally important for many women in transition or dealing with gender dysphoria. Therefore, FACIALTEAM advocates a change in the medical categorization of these treatments in order to make them more accessible to the women in need. We are very excited about the publication of this article. However, it is just one in a long line of research generated by our world-class team. At FACIALTEAM, we constantly strive to innovate the field of facial gender via research & development as one of the best means to stimulate advancements in the sector.